Welcome to The Bead Warehouse, your source for upcoming events and links to shopping our merchandise through our Ebay and Etsy stores. Click the above Event Schedule link to find out where we will showing our merchandise in person. Site information configuration on top line varies by computer/device. If not visible, click the "MORE" button for Contact information and to review our selection of beading and relevant information guides. We offer our merchandise in our Ebay and Etsy stores. See our links to both below. Looking for the Best Sterling Silver, Gold-Filled and 14K Basics? You've come to the right place. 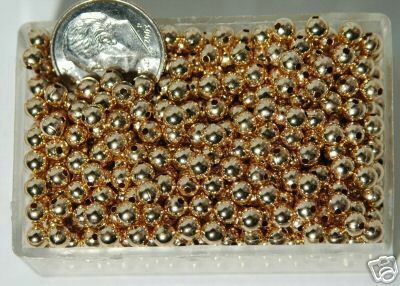 The Bead Warehouse carries a wide selection of beads and findings with the highest quality, made in the USA. Our sterling crimps are the strongest around, plus our round beads come in a seamless finish for your best jewelry pieces in sizes from 2mm up to 10mm. With many ear wire selections and headpins in many lengths and gauges you'll get exactly what you need every time from The Bead Warehouse. Stock up now!